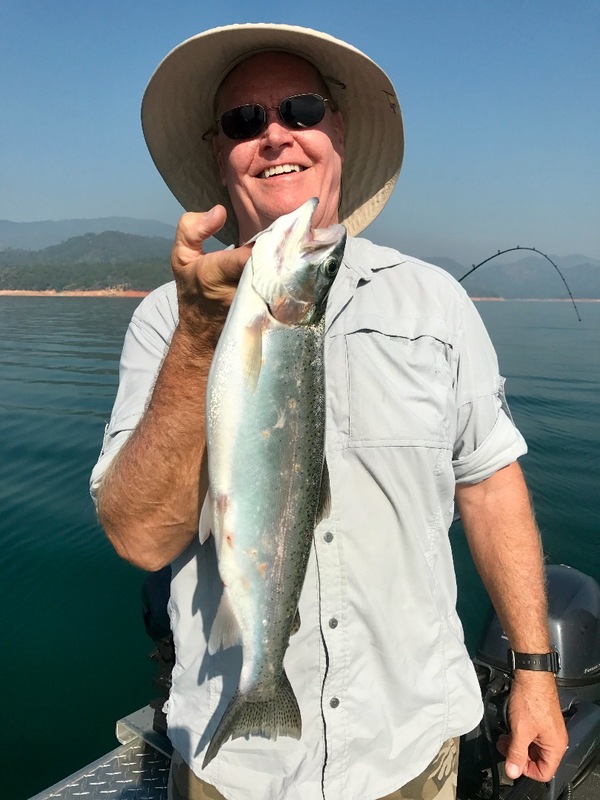 Fast action on Shasta Lake today! 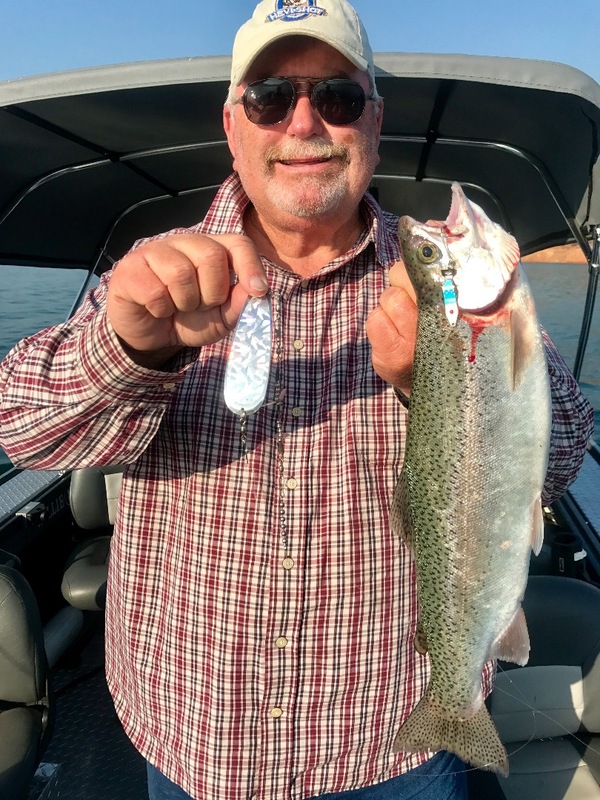 Beautiful trout like this one caught today on Shasta Lake are being caught on every trip. 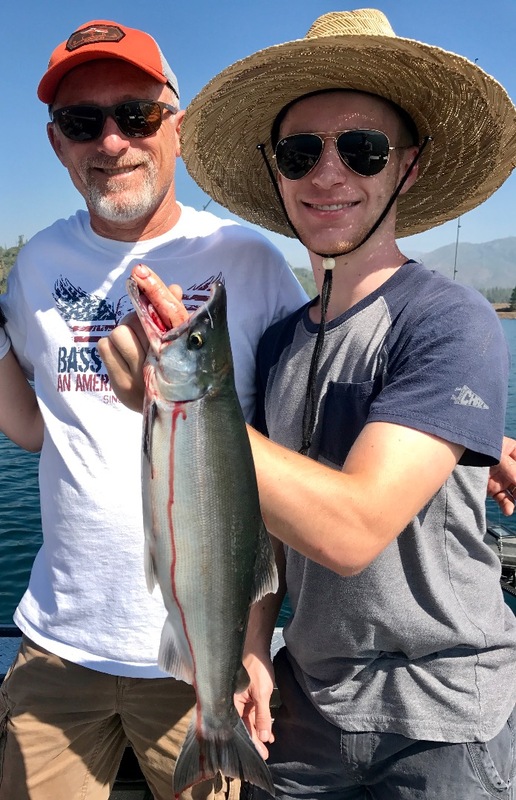 Today I fished Shasta Lake and my group experienced some of the best fishing of the season. 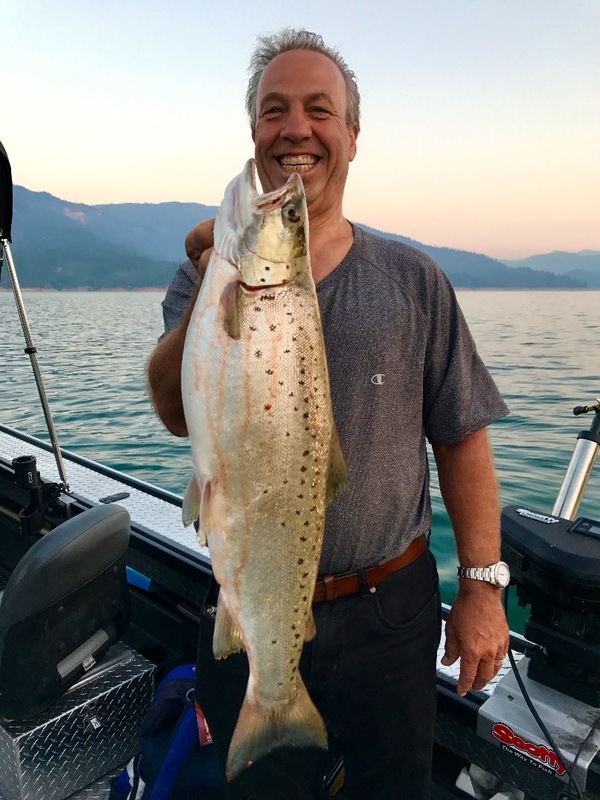 First rod dropped to 90' feet got bit before I could get the second rod down. 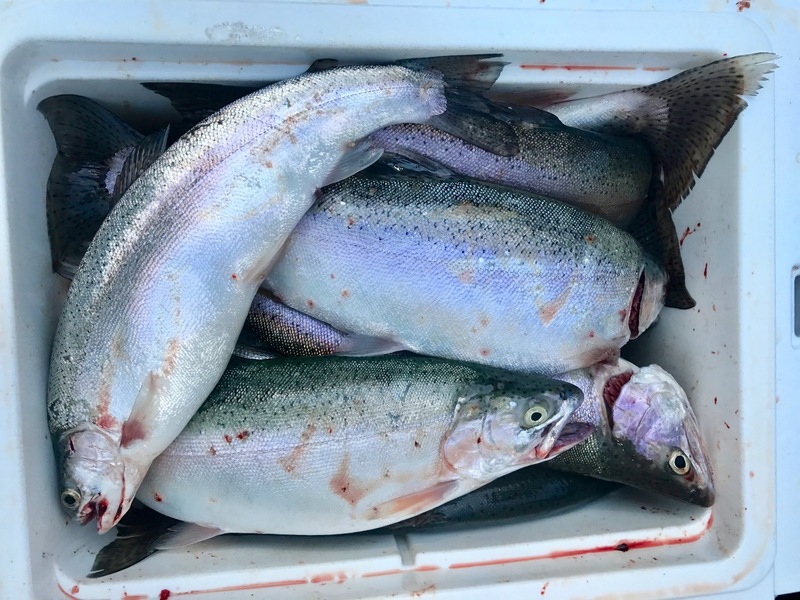 We had doubles and even a quad hook up making for quick limits and a Yeti ice chest spilling over with beautiful big trout. Hot baits were 4" Macks Lure sling blades and fish scale Humdingers. 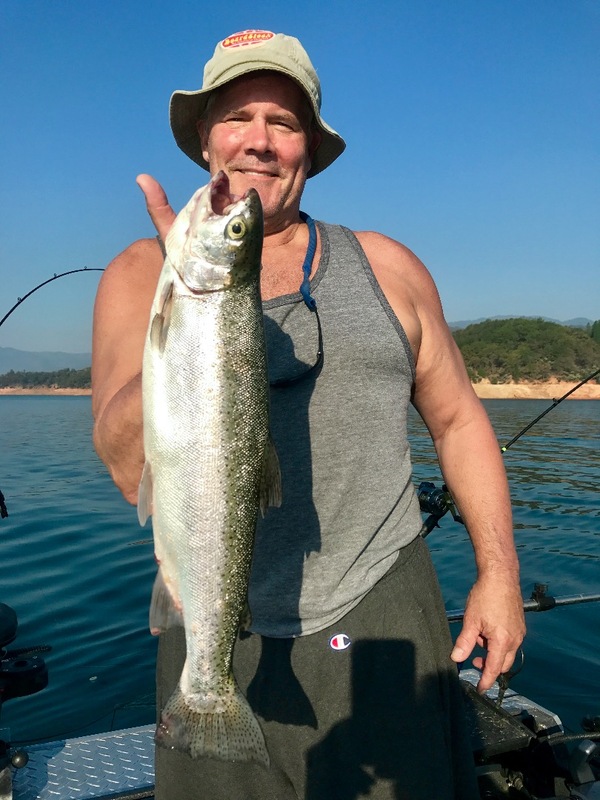 Troll the 90-95' mark with Mack's Lure tackle and hang on!